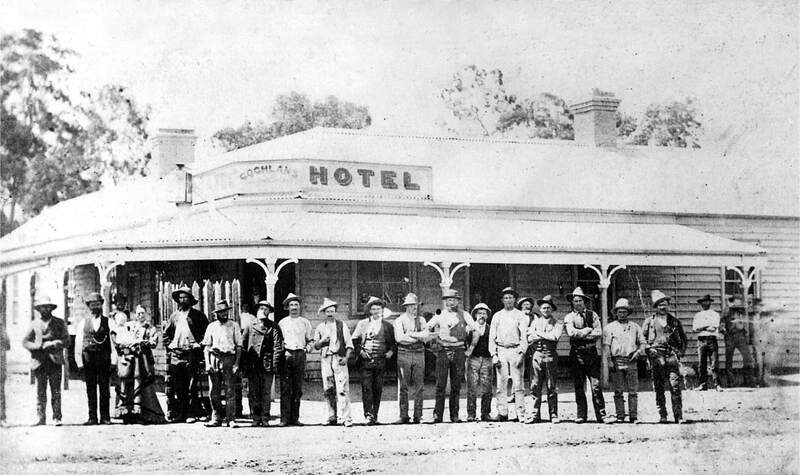 1853 - Parson's Inn (later known as Prince of Wales Inn), 1873 - Shepparton Hotel, The Bush Inn, Criterion Hotel, Royal Hotel, Farmer's Arms Hotel, Commercial Hotel, Terminus Hotel, Goulburn Valley Hotel, Union Hotel (now The Aussie), Victoria Hotel. 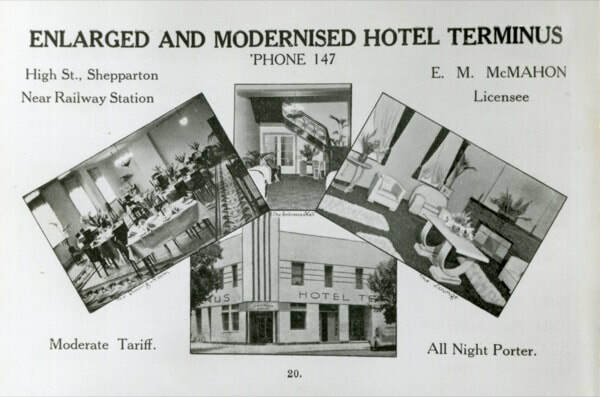 Several of the original hotels were mostly wooden structures and were destroyed by fire - the Goulburn Valley, the Union, the Court House, the Terminus and the Commercial. by members of the Stainsby family. 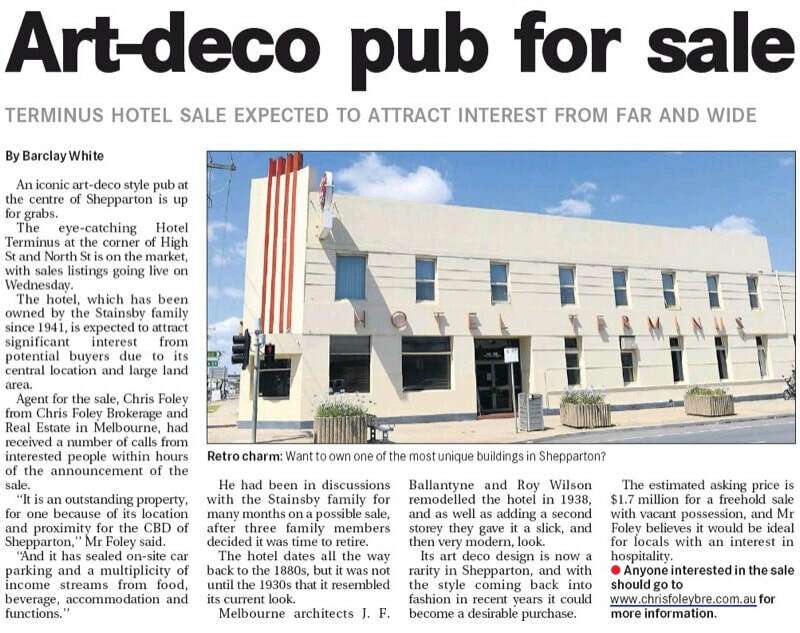 1918 Original weatherboard hotel burnt down. Rebuilt as a single story brick structure to a design by well known local architect J.A.K. Clarke. 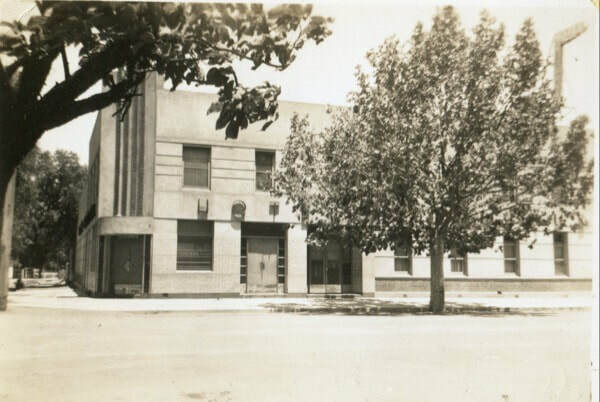 1928 Bryant and Shiel sell their Goulburn Valley hotels, including the Terminus, Court House and Union in Shepparton, the Royal Mail and Commercial in Mooroopna, Tallygaroopna's Victoria, Dookie's Gladstone and the Pine Lodge Hotel. 1996 Ownership of hotel passes to the three children Robert, Diane and Karen.